On March 4, 2019, the Supreme Court decided Fourth Estate Public Benefit Corp. v. Wall-Street.com, LLC, holding that a copyright owner cannot sue for infringement before the Copyright Office has a made a determination on the work. The Court issued a unanimous opinion written by Justice Ginsburg. We had reported on the oral arguments earlier this year — to read our coverage click here. The Court mainly focused on the text of the Copyright Act. The Copyright Act states “no civil action for infringement of [a] copyright in any United States work shall be instituted until preregistration or registration of the copyright claim has been made . . . .” 17 U.S.C. § 411(a). The Court felt the only way to read “registration . . . has been made” consistently with the rest of the act is for it to mean the Copyright Office makes a decision. “Read together, § 411(a)’s opening sentences focus not on the claimant’s act of applying for registration, but on action by the Copyright Office—namely, its registration or refusal to register a copyright claim.” Fourth Estate Public Benefit Corp. v. Wall-Street.com, LLC, 2019 WL 1005829 *4 (Mar. 2019). The requirement is only that the Copyright Office issues a decision on if a work can be copyrighted. If the Office issues a rejection, the owner can still sue to overturn the rejection. 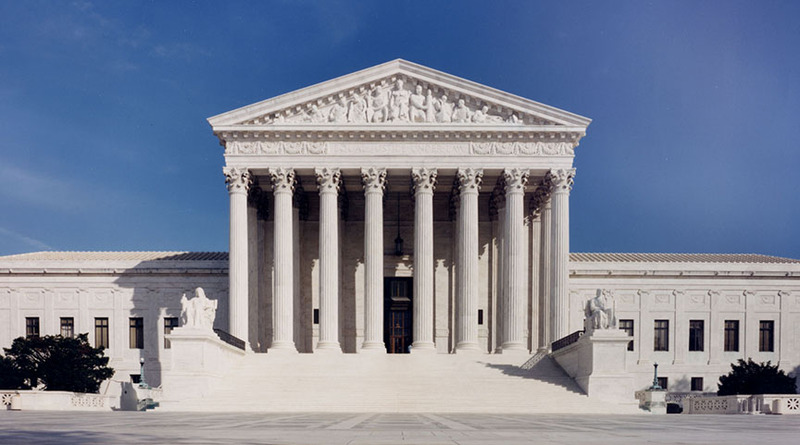 The Supreme Court’s decision changes the timing of when a copyright owner can file a lawsuit. It was common practice for owners to file a lawsuit then file an application with the Copyright Office. Now a copyright owner needs to file the application and receive a decision from the Copyright Office before filing a lawsuit. Overall, this decision will likely have minimum impact on copyright owners, because a registration can be obtained in a short amount of time. For regular registration, the wait time is about seven months, but the Copyright Office also has an expedited process which allows copyright owners to get a decision within five days. The expediting fee is about $800, but that pales in comparison to the legal fees the claimant is willing to incur to initiate a lawsuit. The Supreme Court’s decision has had an impact on other pending litigation though. The plaintiffs in the dance emote cases have withdrawn the current cases and plan to refile due to the outcome of Fourth Estate. The Copyright Office rejected rapper 2 Milly’s and Alfonso Ribeiro’s dances for being non-copyrightable. 2 Milly and Ribeiro have asked the Copyright Office to reconsider its decision, but until the Copyright Office issues a final decision they cannot file a lawsuit. Interestingly, the Copyright Office did register Backpack Kid’s “Flossin Dance” as a choreographic work. Orange Shirt Kid also received a registration, but for a motion picture and not a choreography. The true impact of the Fourth Estate case may be on marginal copyright cases that cannot easily get registered in the first place. In the meantime, we will continue to monitor the dance emote cases (particularly Backpack Kid’s case), and provide updates as warranted. Ferguson v. Epic Games, Inc.
Ferguson v. Take-Two Interactive Software, Inc.
Ribeiro v. Epic Games, Inc.
Ribeiro v. Take-Two Interactive Software, Inc.
Epic Games and Take-Two Interactive have filed motions to dismiss the complaints of the rapper 2 Milly and Alfonso Ribeiro. Back in December 2018, 2 Milly filed complaints against Epic and Take-Two for using his dance, the “Milly Rock,” without permission. 2 Milly alleged the video game companies had infringed his copyright and right of publicity. Shortly after 2 Milly filed his complaint, several other people, including Alfonso Ribeiro, also filed complaints against the video game companies. For a more in-depth analysis, click here. Epic and Take-Two argue the plaintiffs’ dances are simple dance moves which cannot be copyrighted. The Copyright Act affords protection to choreographic works, but the work has to be more than a simple dance move. For example, touchdown celebrations would be a simple dance move . On February 14, 2019, the Copyright Office refused registration for Ribeiro’s “Carlton Dance” on the basis the dance was a simple dance move. Also, the Copyright Office questioned if Riberio is the true and sole author of the dance since it was created for a TV show, possibly under a work made for hire agreement. As of this writing, the Copyright Office has not made a determination on 2 Milly’s dance or any of the other dances at issue. The refusal does not automatically end the litigation against Epic or Take-Two. Ribeiro could appeal the rejection since the courts have the final word on what is copyrightable. However, more likely is that the issue of whether Ribeiro’s dance is copyrightable in the first place will now be decided by the court in this case. A copyright registration would have given him a presumption of validity of the copyright in his dance, but with the registration, he must now prove that anew in court. Thus, the Copyright Office’s decision means that the plaintiffs will inevitably have a more difficult time proving they own a protectable copyrighted work. Lastly, we note that the court also needs to weigh in on the right of publicity claim asserted by the plaintiffs. 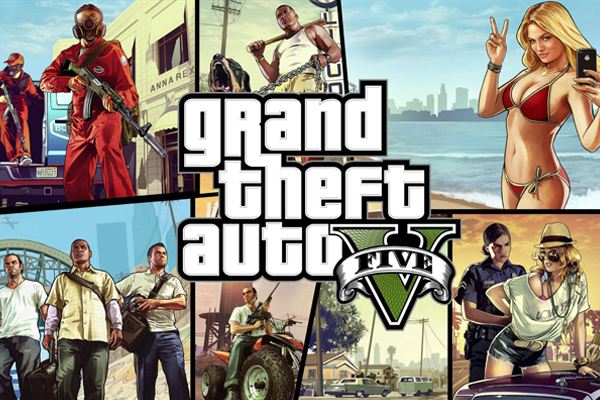 Epic and Take-Two argue that copyright law preempts the right of publicity claims. Even if there is no preemption, the video game companies rely on Rogers v. Grimaldi to argue the dances are artistically relevant to the games and the use is not misleading. 875 F.2d 994 (2d Cir. 1989). Furthermore, the companies claim the dance emotes only replicate physical movements and do not incorporate the plaintiffs’ likenesses. As discussed in our previous post, it is unsettled law if a person’s likeness can be attached to a movement. A person likeness can extend to a distinctive voice or a well-known catchphrase. However, extending protection to a dance might have far-reaching implications. These cases are still ongoing, and we will provide updates when available. Baker v. Epic Games, Inc.
On January 23, 2019, James Baker, a.k.a. BlocBoy JB was the latest person to file a lawsuit against Epic games over Fortnite’s dance emotes. BlocBoy JB created the dance move “Shoot” where the dancer kicks their leg forward and moves their arm in a stabbing motion in synchronization. 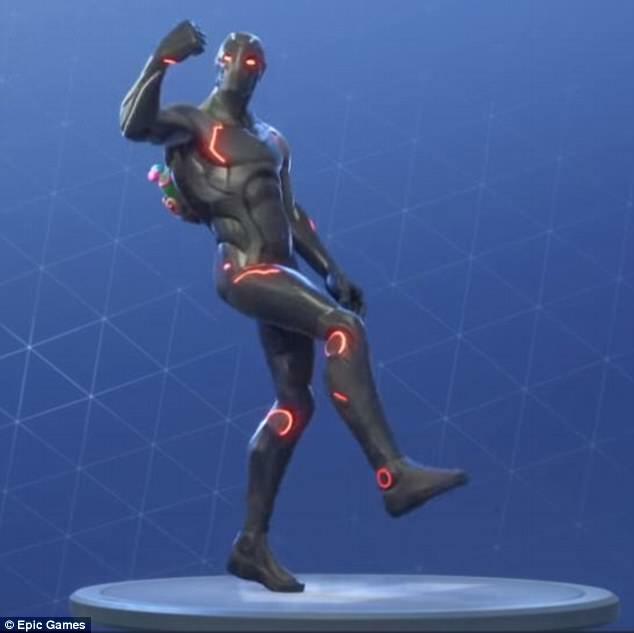 The allegedly infringing dance emote in Fortnite is called “Hype.” The same law firm representing the other dance plaintiffs is also representing BlocBoy JB. The complaint is relatively similar to the other complaints, only minor differences relating to specific facts about to BlocBoy JB. BlocBoy JB is going to face the same hurdles as the other dance plaintiffs. Copyright protection only extends to choreographed dances like a ballet, but not to short dances which other people can easily replicate. BlocBoy JB will need to show that his dance is a choreographed worked like a ballet. Also, just like the other complaints, it is unclear if BlocBoy JB can establish a right of publicity claim. It is unsettled if a dance move can be associated with a person’s identity. To read a more in-depth analysis click here. We will continue to monitor these cases and provide updates when available. Yet another person has filed a lawsuit against Epic Games over a dance emote in Fortnite, this time the mother on behalf of the child known as “Orange Shirt Kid.” This is the fourth lawsuit filed against Epic claiming a Fortnite dance emote constitutes infringement. You can read our earlier coverage here. The same law firm that filed the previous lawsuits also filed this new complaint. However, there are a few key differences between the Orange Shirt Kid’s case and the other cases. A significant difference is the fact that Orange Shirt Kid submitted his dance, the Random, to a contest run by Epic, specifically for inclusion in the game. Epic held the BoogieDown contest in March 2018, in which Epic would select a player submitted dance routine to put into Fortnite. One of the rules for the competition is a contestant grants Epic a royalty-free, perpetual, and irrevocable license to use the dance routine. Orange Shirt Kid submitted his dance to the contest, but Epic did not select his dance . One possible reason Epic did not select Orange Shirt Kid’s dance is because he was a minor at the time and the contest was only open to adults. A group of Fortnite players upset that the Random was not selected petitioned Epic to include the dance in the game. Epic eventually relented and added Orange Shirt Kid’s dance, which he celebrated by tweeting. Those celebratory tweets have now been deleted. Orange Shirt Kid’s complaint does not mention the dance contest or tweets but instead alleges Epic did not seek permission to use the routine. Orange Shirt Kid’s claims appear to be in a more difficult position than the other similar lawsuits. Each plaintiff has to show their routine is protectable under copyright law, which could be difficult to prove on its own. 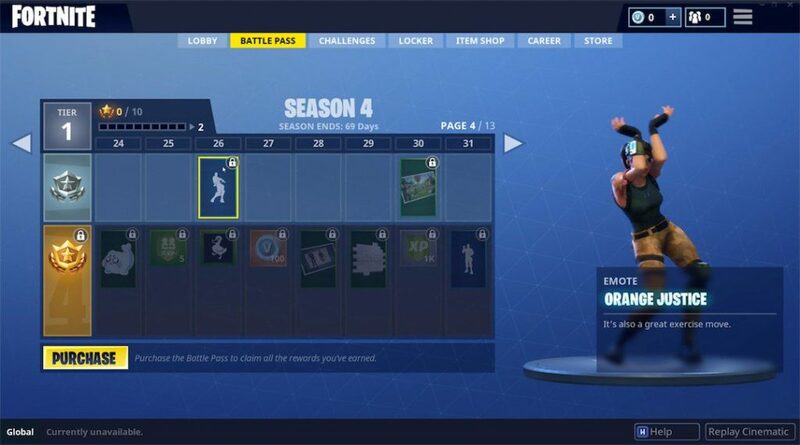 However, Orange Shirt Kid must also show he did not grant Epic a license to use his dance. Epic will likely argue there is an express license created by the rules of the contest or an implied license created from the child’s behavior. Orange Shirt Kid will likely argue that, as a minor, he is unable to grant such a license. The complaint also claims Epic has unlawfully used Orange Shirt Kid’s catchphrase, “It’s also a great exercise move!” The other lawsuits only involve a dance routine. The complaint alleges Epic violated Orange Shirt Kid’s right of publicity and trademark by using the phrase. A defendant can violate a person’s right of publicity even if the defendant does not use the person’s name or image. See Carson v. Here’s Johnny Portable Toilets, Inc., 698 F.2d 831 (6th Cir. 1983). A defendant’s use of a catchphrase which is closely associated with a person is enough to violate the right of publicity. See, e.g., Id. 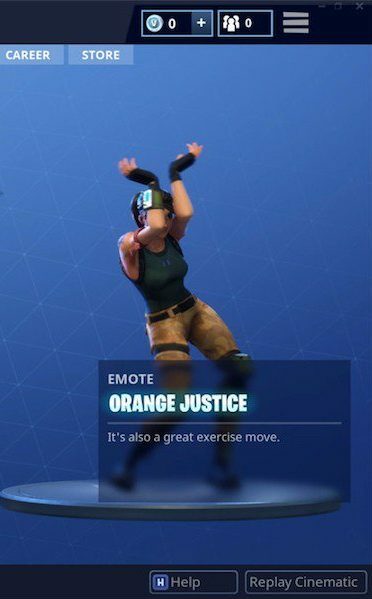 It is questionable how closely associated the plaintiff is with the phrase “It’s also a great exercise move!” The phrase itself is not unique, but considering the way in which Epic included the dance into Fortnite, there is a connection between Epic’s use and Orange Shirt Kid. Again, there is also the question of whether Epic was licensed to use the material submitted by Orange Shirt Kid. Under trademark law, the trademark owner must use the mark as a source identifier for a good or service within interstate commerce. See 15 U.S.C. § 1051(a); see also Id. § 1127. It is unclear at this point if Orange Shirt Kid is using his catchphrase as a source identifier for any goods or services. The complaint only alleges how Epic is using the catchphrase and how that will cause confusion as to its origin. Also, there are questions regarding the strength of the mark. The complaint claims the catchphrase has reached secondary meaning, but that is a factual question that the plaintiff will need to prove in court.Epic may also be covered by the contest rules again regarding the catchphrase. The contest rules state Epic has the right to use the contestant’s publicity during or after the contest. Also, the catchphrase appears in the Orange Shirt Kid’s video submission, which may mean Epic has a non-exclusive license to use the catchphrase based on terms of the contest rules. While there is intellectual property involved, this case could also turn on contract law due to the contest rules. We will continue to monitor all the Epic dancing cases and provide updates when available. Abstract: Video game litigation in the United States is neither new nor infrequent, and video game developers can learn valuable lessons from cases won, and lost, by others before them. This article examines the evolution of United States intellectual property law from historically narrow roots to classifying video games as an art form deserving broad free speech protection. This article examines seminal cases in a variety of IP areas, including not only copyrights, but also reverse engineering, derivative works, patents, trademarks, rights of publicity, the Digital Millennium Copyright Act, contracts, and freedom of speech. 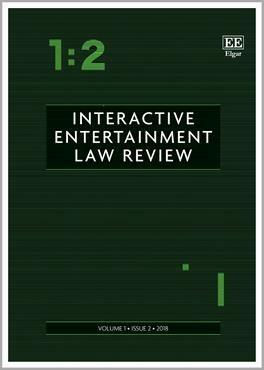 These cases explore the factual and legal limits of American jurisprudence in video game law, including how one’s own expression can be limited by the rights of others, permissible and fair use and of others’ IP, and the impact these cases have had in the industry. As video games have leveled up into a multi-billion dollar industry, the law has leveled up, too, and this article is the primer you need to level up with it. Fourth Estate Public Benefit Corp. v. Wall-Street.com LLC et al. On January 8th, 2019, the Supreme Court of the United States heard oral arguments in Fourth Estate Public Benefit Corp. v. Wall-Street.com, LLC, Case number 17-571. The court was asked to consider what “registration” means in “no civil action for infringement of [a] copyright in any United States work shall be instituted until preregistration or registration of the copyright claim has been made . . . .” 17 U.S.C. § 411(a). Fourth Estate, the petitioner, argued registration means an author of a work only needs to submit a registration application. Wall-Street.com, the respondent, believes registration means that the U.S. Copyright Office makes a final determination on the application, either to register or refuse registration of a work. The case originated when Fourth Estate Public Benefit Corporation filed a copyright infringement claim against Wall-Street.com in the Southern District of Florida. Fourth Estate had licensed news articles to Wall-Street.com, but, according to the complaint, the website broke the terms of the agreement. At the time the complaint was filed, Fourth Estate had submitted applications to register the articles with the Copyright Office, but the Office had not made a final determination. Wall-Street.com moved to dismiss for failure to state a claim because the Copyright Act requires the work to be registered to initiate an infringement claim. 17 U.S.C. § 411(a). Both the Southern District of Florida and the Eleventh Circuit agreed with Wall-Street.com and dismissed the complaint. Fourth Estate then appealed to the Supreme Court of the United States. Part of the reason the Supreme Court took this case is that there is a circuit split regarding the definition of “registration” in the Copyright Act. The Ninth and Fifth Circuits only require a plaintiff to apply for registration to have standing, while the Tenth and Eleventh Circuits require that the Copyright Office make a final determination before there is standing. The Supreme Court’s decision in this case should resolve the split by defining the term “registration” in the Copyright Act and what is required of a copyright owner prior to filing a lawsuit. During Oral Arguments, both sides focused heavily on the text of the Copyright Act. The debate centered on whom the active actor is doing the registration in section 411(a). Fourth Estate maintained it is the author who must register by submitting the application. Wall-Street.com countered by arguing the Copyright Act as a whole only makes sense if “registration” means the Copyright Office makes a final determination. Generally, the justices seemed to agree with Wall-Street.com but acknowledged there was room for interpretation. Fourth Estate did raise the practical implications of the final determination approach. Currently, it takes about six to seven months for the Copyright Office to complete an application, which Fourth Estate argues puts smaller artists at a disadvantage when trying to initiate litigation quickly. The justices recognized some copyright owners might be at a disadvantage under the final determination approach, especially Justice Kavanaugh, who asked several times if the delays were a problem. Nonetheless, the argument kept returning to the statutory language of section 411(a). 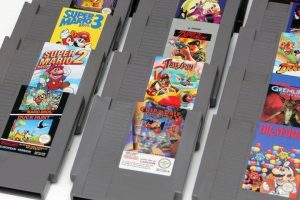 This case dives into weeds of the Copyright Act, but there are many parties who are interested in the outcome of this case, including large and small video game developers alike. The Copyright Office provides an option for special handling of copyright applications, through which a copyright applicant can receive a registration in less than 1 week, but at a cost of about $800 (normal registration is presently ~$55). We recognize that this increased cost could be considered a burden on small copyright owners. However, if that small copyright owner intends to litigate, then this increased cost is insignificant compared to the total cost of litigation that a small copyright owner (or its attorneys) would incur. Reading the tea leaves of the Court, we believe it likely that Wall-Street.com will prevail, but we will provide an update once the Court has issued its opinion. 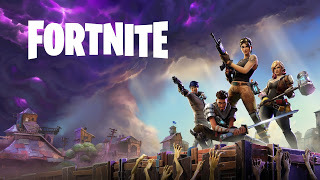 On December 5th, rapper 2 Milly, aka Terrence Ferguson, filed a lawsuit in the Central District of California against Epic Games claiming the video game company stole his dance. 2 Milly created a music video which features a dance called the “Milly Rock” back in 2014. 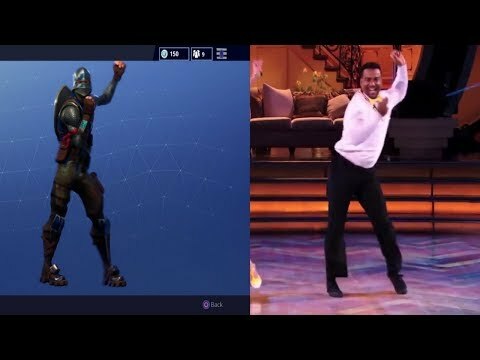 According to the Complaint, Epic’s “Swipe It” dance emote in Fortnite is copyright infringement of the Milly Rock and violates 2 Milly’s right of publicity. Then on December 17, 2018, actor Alfonso Ribeiro and Russell Horning, a.k.a. Backpack Kid, filed their own lawsuits against Take-Two Interactive and Epic Games claiming the companies had infringed upon their dances as well. 2 Milly also filed a lawsuit against Take-Two Interactive on December 17. The claims against Take-Two relate to NBA 2k’s use of dance emotes. 2 Milly is a rapper who created the “Milly Rock,” which was featured in a music video titled Milly Rock x 2 Milly. According to the complaint, celebrities such as Rihanna have performed the Milly Rock. Alfonso Ribeiro was the actor who portrayed Carlton Banks on The Fresh Prince of Bel-Air. During the episode titled Will’s Christmas Show, Carlton dances to Tom Jones’s It’s Not Unusual. A video clip featuring the “Carlton Dance” eventually made its way to YouTube where it became very popular. Ribeiro would be on Dancing with the Stars where he performed the “Carlton Dance” in a routine. Backpack Kid is a 16-year-old teenager who created the “Floss Dance.” “Flossing” took off after Backpack Kid performed on stage with Katy Perry on Saturday Night Live. The complaints allege Epic and Take-Two created dance emotes featuring the three dances. A dance emote is an in-game celebration which can be purchased using real-world currency. Copyright law protects choreographic work, but not simple dance moves. A choreographic work is “a related series of dance movements and patterns organized into a coherent whole.” Horgan v. Macmillan, Inc., 789 F.2d 157, 161 (2d Cir. 1986) (quoting U.S. Copyright Office, Compendium II: Compendium of Copyright Office Practices § 450.03(a) (1984)). According to the U.S. Copyright Office, a choreographic work is meant to protect complex dance performances such as ballets, but not simple dances which anyone could easily replicate. For example, the Copyright Office takes the position that a football player’s end zone dance is not protectable because it can be easily replicated. See U.S. Copyright Office, Circular 52 at 3. The plaintiffs will need to show that their dances are more like a ballet than a touchdown celebration if they wish to succeed on the Copyright claims, or otherwise convince a court that the Copyright Office’s position on this issue is too narrow. Considering how easily people can replicate these dances, the plaintiff’s likely have an uphill battle on the copyright infringement front. In addition to copyright infringement, all of the plaintiffs claim the video game companies violated their rights of publicity. A right of publicity claim concerns the unauthorized use of a person’s identity or likeness to the advantage of the defendant. Identity or likeness includes not only a person’s image or name but can also include a person’s voice. For a voice misappropriation, the plaintiff needs to have a “distinctive voice which is widely known and deliberately used to sell a product.” See Midler v. Ford Motor Co., 849 F.2d 460, 463 (9th Cir. 1988). It will be interesting to see if the court extends the right of publicity to movement. Extending right of publicity claims to dance moves may be a slippery slope though because it could afford broad protection to simple movements. If a court is willing to extend the right of publicity to movement, then one option would be to apply a standard similar to misappropriated voices. If that happens, the standard might be a distinctive movement which is widely known and deliberately used to sell a product. All the dances in the lawsuits have distinctive characteristics that would be easily recognizable. It is also likely that the defendants are replicating these specific dances because they are popular. The question is then how well known each plaintiff is for their unique dances. Stated differently, is each dance move associated with its respective plaintiff such that the consuming public associates the two together? Ribeiro has performed his dance on television shows like Fresh Prince and Dancing with the Stars, while clips and gifs of his dance have been shared countless times. Backpack Kid’s floss dance has been performed on stage with Katy Perry on Saturday Night Live and he is really only known for doing the floss dance. 2 Milly’s original music video has over 18 million views, but probably has not reached the same level of mainstream recognition as the other two plaintiffs. The degree of recognition will need to be addressed by the courts for the plaintiffs to win. However, extending protection to simple dance moves through the right of publicity raises interesting legal questions about the scope of protection. Specifically, if every dance move were associated with a particular person, then eventually ALL dance moves might be protected, and no one could dance without infringing someone’s rights. While perhaps a far-fetched result, it’s nonetheless possible. As such, a court might choose to apply the merger doctrine to dance moves as a protected feature of one’s right of publicity, holding that no individual dance moves are protectable through a right of publicity claim based on their more limited number. Despite the interesting legal questions, there’s a good chance these cases will settle. The public perception that video game companies are “stealing” dances may push the companies to settle even if a court would likely rule in the game publishers’ favor. However, the fact that there are more of these cases now might make the defendants more likely to fight them, because if they settle one, then they’re establishing business precedent for paying for dance moves, which they might like to avoid. If the cases do move forward, it will be interesting to see if the courts decide to combine the cases, or addressed them individually, as Ribeiro and 2 Milly are represented by the same law firm. We will continue to monitor these cases and present updates when available. Epic Games is suing more individuals for cheating in Fortnite, this time the defendants are two streamers, Brandon Lucas and Colton Conter. The complaint alleges that the defendants’ use of cheat tools constitutes copyright infringements and is a breach of contract. Epic asserts that the defendants created an unauthorized derivative work by using the cheat tools. Also, the complaint alleges the defendant’s YouTube videos showing them using the cheat tools in the game constitutes an unauthorized public performance. Beyond just directly infringing the Fortnite copyright, Epic claims the defendants have also committed contributory infringement by selling the cheat tools. Along with the copyright claims, Epic is also asserting a breach of contract claim by arguing the defendants violated the End User License Agreement by using the cheat tools. The cheat tools work by injecting new code into Fortnite during execution which modifies the game. For example, a user could insert code that causes the character to be invincible. Epic alleges that this modified version of Fortnite constitutes a derivative work. Generally, a derivative work is one that “incorporates a protected work in some concrete or permanent ‘form.’” Lewis Galoob Toys, Inc. v. Nintendo of America, Inc., 964 F.2d 965, 967 (9th Cir. 1992). It could be argued that injecting code into the game does not incorporate the protected work in a permanent form because the changes are only temporarily altering the game during execution. However, since Lewis Galoob Toys, some courts have ruled that creating a cheat tool for use with a video game counts as a derivative work. Besides the right to prepare derivatives, the only other exclusive right Epic claims the Defendants infringed is the right of public performance. The Defendants are streamers who often post videos of themselves playing Fortnite. In some videos, the Defendants use the cheat tools while they play Fortnite. According to the complaint, the YouTube videos infringe on Epic’s exclusive right to publically perform Fortnite. Video games are considered an audiovisual work so to perform a video game means to show its images in any sequence. While it might seem obvious that videos on YouTube would constitute a performance, earlier this year, in a default judgment, the Northern District of California questioned what it means to publically perform a video game. The court declined to answer the question because it was only a default judgment and the parties had not adequately briefed the issue. For more in-depth analysis click here to read our earlier post. But at least that one court is suspicious of such a claim, and we suspect a court addressing the issue square on would also consider fair use as a possible defense. Epic is also claiming the Defendants breached the End User License Agreement (EULA) by using the cheat tools. According to the complaint, Fortnite’s EULA bans players from creating, developing, or distributing programs that give a player an unfair advantage in the game. If the Defendants were selling cheat tools, then Epic seems to be a good position regarding the breach of contract claims. Epic’s goal in these cheating lawsuits is to remove access to the cheat tools, which in legal terms means getting injunctions against the tool’s distributors. The Copyright Act grants injunctions as a possible remedy for infringement, in addition to monetary damages. The default remedy for a breach of contract claim is money damages, and injunctions are saved for certain cases. Winning on the breach of contract claims will earn Epic money damages but will not necessarily prevent the Defendants from continuing to sell the cheat tools. If Epic can win on the copyright claims, then it will probably be able to get injunctions against the defendants, forcing them to stop distributing the cheat tools. All of the Fortnite cheating cases are ongoing, and we will provide updates when available. To review our previous coverage click here, here, here, here, here, here, and here. Nintendo of America, Inc. v. Mathias et al. On November 9, 2018, the United States District Court for the District of Arizona issued a Final Judgement in Nintendo of America v. Mathias et al., aka, “the Nintendo ROM case.” The defendants are a married couple who operated the websites LoveROMs.com and LoveRETRO.co. The two sites allowed users to download ROMs for classic Nintendo games. Nintendo filed a lawsuit against the defendants back in July, claiming the sites infringed upon their copyrights and trademarks. At the time we speculated about the possible legal defenses that defendants might raise if the case went to trial. Click here to read our previous coverage. Instead of going to trial, the two parties entered into an agreement which stipulated the court would issue a final judgment and grant a permanent injunction against the defendants. The court awarded Nintendo $12,230,000 and ordered the defendants to cease distributing any more Nintendo ROMs. The defendants now have 30 days to transfer their ROM websites, every Nintendo video game, and every video game system emulator in their control to Nintendo. Nintendo will pay for destroying the infringing products. One of the stipulations in the judgment is the defendants waive their rights to appeal, which means this is the end of this case. The conclusion of this case does not answer any legal questions surrounding ROMs or emulation, but it does act as a deterrent to anyone else distributing Nintendo ROMs. If Nintendo decides to sue any other ROM sites, we will provide coverage. The monetary award is interesting. Either the defendants made a TON of money from their sites, or its a deferred payment acting as a carrot for them to never do something like this again. If anyone knows, please let US know! Tetris Holding, LLC v. Xio Interactive, Inc.
We were recently talking among ourselves about copyright protection for expressive choices in implementing functional rules of a game, and Tetris v. Xio immediately came to mind. Much to our own surprise we hadn’t written it up yet. So today we write about the Tetris Holding v. Xio Interactive case that captured the industry’s attention in 2012 by providing expansive protection for Tetris – a holding that some have found controversial. The Copyright Act protects the expression of an idea, not the idea itself or its functionality. In the United States, patent law governs functionality, whereas copyright protects original creative expression. This underlying principal allows for clones of a popular video game to exist, so long as the clone only uses the ideas or functional features. Functional aspects of a game could be the rules or user interface. 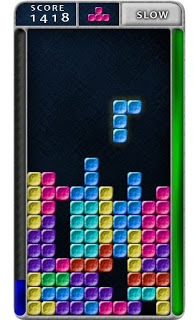 There are certain games where the rules are so intrinsically tied to the expression of the game that it becomes difficult to separate, which was the exact scenario that the court faced in Tetris Holding, LLC v. Xio Interactive, Inc.
Tetris is one of the most popular video games of all time, and as a result, there are many clones of Tetris available. Tetris Holding, LLC, the company that owns the Tetris rights, has a history of issuing takedown notices to copy-cat games. One such company to receive a takedown notice was Xio Interactive. Desiree Golden formed Xio Interactive with the intent to design a game for the iPhone. Ms. Golden admitted she intended to create a game which replicates Tetris’s gameplay but claimed to have only copied non-protected functionality. Tetris Holding disagreed with Xio’s assertion and instigated litigation in December 2009. Xio argued it only copied the rules and game mechanics of Tetris, which would be functional features and therefore could not be protected by copyright. The district court, however, held that expressive elements incorporated into the functional features could be protected. According to the court, just because game mechanics and rules are not entitled to protection, “does not mean . . . that any and all expression related to a game rule or game function is unprotectable.” 863 F.Supp.2d at 404-405. Even though the game mechanics and expression might appear closely tied, the court felt the defendant had other options to express the same mechanics, therefore the merger doctrine did not apply. The merger doctrine states if there is a single or limited number of ways to express an idea, then no copyright protection will be given to any of those ways. Because the court found there was protectable expression that did not merge with the idea, it ruled in Tetris Holding’s favor due to the fact that both games were identical. Tetris Holding also sued Xio under a theory of trade dress infringement. On the trade dress claim, the district court again ruled in Tetris Holding’s favor, finding there was a likelihood of confusion due to the similarities of the two games. This case has been controversial because many commenters believe the decision expands the scope of copyright protection to protect functional aspects of a game. For many people, a video game’s mechanics and rules are purely functional, so those elements should not be protected by copyright. Video games walk a tight line between functionality and expression due to the interactive nature of the medium, so it is not always clear where one begins and the other ends. The distinction between functionality and expression in video games is thus an ongoing issue of debate. For example, PUBG Corp., the developer of Playerunknown’s Battlegrounds, is currently suing several copycat games in a case that seems somewhat similar to Tetris Holding v. Xio Interactive. For more in-depth coverage, click here. Many of the elements PUBG Corp. claims the copycats infringe might be of a functional nature, or ideas not subject to copyright protection, when considered in isolation, but PUBG argues that in combination they are deserving of copyright protection. It will be interesting to see if the court in the PUBG Corp. cases follows a similar analysis as Tetris Holding v. Xio Interactive. It is being reported that Nintendo has won a lawsuit against a Tokyo go-kart rental service called Mari Mobility, previously MariCar. The Tokyo District Court ruled that MariCar infringed on Nintendo’s Mario Kart by renting costumes of Nintendo characters. 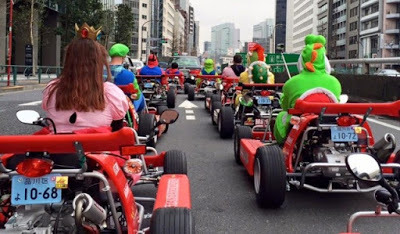 The court ordered the go-kart company to stop renting costumes and pay Nintendo 10 million Yen ($89,000) in damages. Currently, there is very little information on the reason why the court ruled in favor of Nintendo. After the victory, Nintendo issued a statement stating it would “continue to take necessary measures against infringement of intellectual property, including our brand.” (Translation Source Polygon). MariCar is a Tokyo based go-kart rental service that has been particularly popular with foreign tourist. Part of the attraction is the company also allows the customers to rent costumes of popular Nintendo characters. Customers would race around the streets of Tokyo dressed as Mario or Bowser. Recently, MariCar was facing some scrutiny due to an increase of go-kart related accidents. Nintendo’s win does not stop MariCar from renting go-karts to customers, but the win does take away a key attraction, dressing up as Mario. Nintendo and MariCar have been engaged in a legal battle with each other since 2016. In June 2016, the go-kart company registered “MariCar” for a trademark with the Japan Patent Office. Nintendo felt that MariCar was trading on the brand recognition of the popular Mario Kart series and filed an opposition, asking the Japan Patent Office to revoke the trademark. The Kyoto-based video game company argued MariCar was chosen with “inten[tion] to be mistaken for or confuse with” the Mario Kart series, plus MariCar was a recognized abbreviated nickname for the video game. The Japan Patent Office did not agree with Nintendo’s arguments because it did not think MariCar was a widely used abbreviation and “it was an unassociated trademark.” As a result, the Japan Patent Office dismissed Nintendo’s opposition. Nintendo would eventually prevail with the Tokyo District Court’s decision that MariCar infringed on Nintendo’s copyrights. We will continue to follow the story and provide updates when available. On July 6, 2018, the Second Circuit upheld the Southern District of New York’s ruling that Matthew Lombardo’s Who’s Holiday!, a parody of Dr. Seuss’ How the Grinch Stole Christmas! (Grinch), is fair use. Even though this case is not related to video games, it is not every day that a court issues an opinion involving Dr. Seuss and fair use (hey, that rhymes!). Who’s Holiday! was an Off-Broadway play describing the aftermath of the Grinch from the perspective of an adult Cindy-Lou Who. Upon turning 18, Cindy marries the Grinch and has a child, but her life is a struggle as they deal with poverty, health-care, and the legal system. The entire play is written in rhymes to replicate the tone of Dr. Seuss, but with the addition of adult language and references. The show only ran for one month back in December 2017. The play organizers filed a declaratory judgement action after receiving a cease-and-desist letter from Dr. Seuss’ estate. The organizers asked the court to rule that Who’s Holiday! was a parody covered by the fair use doctrine of copyright law. When considering if a use is a parody, courts tend to focus on the “Purpose and Character” factor by looking to see if a use transforms or alters the original’s meaning, message, or expression. The more transformative a use is, the more likely it is to be considered fair use, even if the use has a commercial aspect. According to the Second Circuit, a use is considered a parody and therefore transformative when it comments on the substance or style of the original. The district court found Who’s Holiday! to be a parody because it comments on the Grinch by pointing out the absurdities in the idealized world of the original. The Second Circuit agreed with the district court’s analysis, stating, “[T]he district court correctly determined that the Play is a parody, imitating the style of the Grinch for comedic effect and to mock the naïve, happy world of the Whos.” 2018 WL 3323476, at *2. Both the district court and Second Circuit found the remaining fair use factors to weigh in Who’s Holiday!‘s favor. While the opinions of both courts do not significantly alter fair use analysis, the district court distinguished this case from TCA Television Corp. v. McCollum, 839 F.3d 168 (2d Cir. 2016). In TCA Television, the Second Circuit held a play’s use of the Abbott and Costello “Who’s on First” routine did not constitute a fair use because the routine was irrelevant to the larger message of the play. Essentially, the Second Circuit felt the play in TCA Television did not comment on the “Who’s on First” routine enough to be considered a parody worthy of fair use. 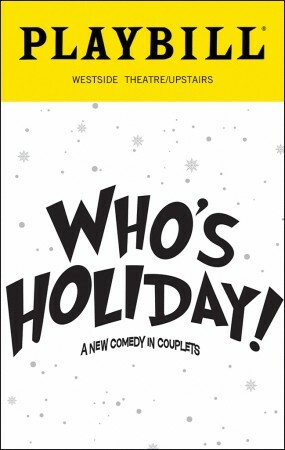 Who’s Holiday!, on the other hand, is a fair use because, as the district court stated, “the Play’s use of the Grinch is necessary to the purpose and meaning of the Play; absent that use, much of the Play’s comedy and commentary evaporates.” 279 F. Supp. at 510. The Second Circuit’s opinion is likely the end of the road for this case as the only options for Dr. Seuss’ estate are to ask the Second Circuit to review en banc or to appeal to the Supreme Court, and neither seem very likely to happen. On August 15, 2018, the court issued its memorandum and order after a motion for default judgment in this case. Plaintiffs own copyrights and trademarks Conan the Barbarian and six other characters: (1) Kull; (2) Ironhand, also known as Esau Cairn; (3) Bran Mak Morn; (4) Dark Agnes; (5) Solomon Kane; and (6) El Borak. Plaintiffs allege that Sanchez violated their rights by manufacturing, displaying, and selling (or offering for sale) miniature sculptures of these copyright-protected characters on Facebook and Kickstarter. Sanchez offered the sculptures for prices ranging from €27 (about $31) to €10,000 (about $11,425). Plaintiffs submitted a takedown notice under the Digital Millennium Copyright Act (“DMCA”) to compel Kickstarter to remove the sculptures, and Sanchez filed a counter-notice, causing them to remain. Plaintiffs filed this suit. Sanchez never responded. While this result may seem obvious, its still instructive to industries in which characters play a central role, including the video game industry. Video game developers, by virtue of registering copyrights in the underlying works, namely, video games, also automatically get copyright protection for the protectible characters embodied within those games. One less thing to have to worry about down the road, and one more IP asset at your disposal for future use. There was also a trademark element to this case, but it was not relevant to our interest in this case. Curious what the figurines looked like? 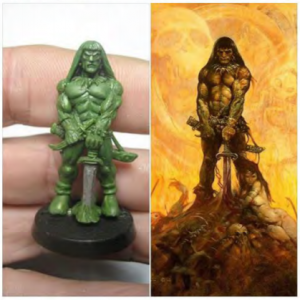 Here is an image from the defendants Facebook page (taken from the Complaint in this case), allegedly showing the figurine next to a cover of the Conan comic which “inspired” it. Atari Interactive, Inc. v. RedBubble, Inc.
Atari Interactive, Inc. v. Zazzle, Inc.
Over the past couple months, Atari Interactive has filed lawsuits against RedBubble, TP Apparel, and Zazzle. All three defendants are online vendors who sell products with user-submitted graphic designs. Atari claims that all three websites have infringed Atari’s trademarks and copyrighted works by selling products, mainly t-shirts, featuring the Atari logo or art from their games. Atari is asking for preliminary and permanent injunctions enjoining the defendants from selling the allegedly infringing products, along with monetary damages. RedBubble, TP Apparel, and Zazzle are online stores that allow for users to submit graphic designs for products such as t-shirts or cellphone cases. Atari’s complaints mainly focus on the t-shirts, but the websites allow for users to apply their designs to a variety of products. After a user submits a design, the site then manufactures the product with the graphic design and sells it on their website. The online vendor splits the revenue from the sale with the user who submitted the design. These types of sites provide an avenue for independent artist to earn money from their art. Nevertheless, a quick search of these websites reveals t-shirts featuring famous characters and brands, with some designs being more clever than others. Atari is accusing all three defendants of direct infringement, contributory infringement, and vicarious liability. Even though users submit the allegedly infringing designs, the sites appear to be responsible for manufacturing and selling the products. To prove direct trademark infringement, Atari must show the defendants used their trademark in commerce in a way that causes consumer confusion. 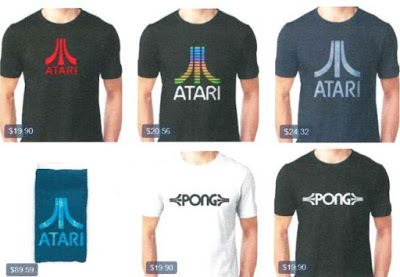 According to the Complaint, the sites have allegedly caused consumer confusion by making and selling unauthorized t-shirts featuring Atari’s logo. While for direct copyright infringement, Atari must show access and substantial similarity. It is highly likely the defendants had access because Atari published some of the most popular video games in the arcade era. The substantial similarity arguments will depend upon the graphic design at issue, but overall it appears that many of the allegedly infringing designs may be copies of visual aspects represented in Atari’s video games or marketing material. The DMCA Safe Harbor provisions may complicate the copyright claims, but safe harbors do not extend to sites that receive a direct financial benefit from the alleged infringement. Splitting the revenue generated from allegedly infringing t-shirt sales would likely be considered a direct financial benefit. These cases are still developing, and Atari may file more lawsuits against other online shirt vendors. It would not be surprising if other companies with popular brands or characters followed Atari’s lead, but they might also wait to see how this plays out before investing money in lawsuits of their own. We will provide updates to the Atari cases when available. On June 21, 2018, Bethesda Softworks filed a complaint in the District of Maryland against Behaviour Interactive and Warner Bros. alleging their Westworld mobile game infringes Bethesda’s copyrights in Fallout Shelter. 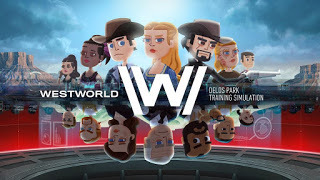 According to the Complaint, Behaviour used Bethesda’s copyrighted source code from Fallout Shelter to develop a Westworld mobile game for Warner Bros., which, they allege, not so coincidentally ended up being suspiciously similar to Fallout Shelter. The Complaint also alleges that Behaviour breached a non-disclosure agreement and misappropriated trade secrets in doing so. According to the Complaint, in 2014 Bethesda hired Behaviour to help develop Fallout Shelter. The Complaint states that Behviour assigned all rights in Fallout Shelter to Bethesda. Then in 2018, Warner Bros. hired Behaviour to develop a game similar to Fallout Shelter but based on Westworld. Warner Bros. released the Westworld game on June 20, 2018. Bethesda notice some similarities, and subsequently filed this lawsuit. To prove copyright infringement, a plaintiff must show the defendant had access to the copyrighted work, and that there is a substantial similarity between the two works. Behaviour likely had access to Fallout Shelter‘s source code from when it developed the game for Bethesda. However, even access can be inferred if the similarities between two works are so similar that there is no reasonable explanation for the similarities except that one is a copy of the other. Proving substantial similarity for source code can be tricky because separating the non-protectable ideas from protectable expression is difficult. Most courts use the “Abstraction-Filtration-Comparison” test to filter out non-protectable ideas from both works, which can leave a plaintiff with thin copyright protection. Here, Bethesda bases its claim that Behaviour copied the source code on the fact that the Westworld game has the same “bugs” or “glitches” that Fallout Shelter had at release. The presence of the same bugs in alleged infringing software has been used in the past to prove infringement. It will be interesting to see if the Court agrees with Bethesda’s point of view. While the primary focus of Bethesda’s Complaint is the source code, Bethesda is also claiming that Behaviour copied the artistic style and gameplay elements of Fallout Shelter. The biggest obstacle for Bethesda with these claims will likely be showing that Behaviour copied protectable expression and not just ideas or a scenes à faire of a game or genre. Even when the Complaint compares the artistic or gameplay features of the two games it does so to establish that those features were a result of the copied source code. Not unexpectedly, Warner Bros. responded by saying that Bethesda’s accusations are baseless and “as surprising as they are unsubstantiated.” This case is still developing so we will provide updates as soon as possible. PUBG Corp., the Korean Subsidiary of Bluehole Studios (the developer of PlayerUnknown’s Battlegrounds), has dropped its lawsuit against Fortnite developer Epic Games Inc. PUBG had filed a copyright infringement claim against Epic in South Korea back in January. According to reports, PUBG alleged that Epic had copied PlayerUnknown’s assets and user interface. You can read our coverage here. However, on Monday, PUBG sent a letter of withdrawal to Epic’s lawyers and the South Korean case was closed. Neither side has stated a reason for the withdrawal. PUBG’s lawsuit against Netease Inc. is still ongoing, and we will continue to provide updates when available. It is worth noting that Tencent Holdings Ltd., a Chinese social media/gaming company, is a part-owner in both Bluehole Studios and Epic – each to the tune of hundreds of millions of dollars – and might not want its investments suing each other. Also, PlayerUnknown’s currently runs on Epic’s Unreal Engine 4, which could also play a part in the settlement. We may never known the exact reason PUBG withdrew, but the cross-over between the two sides could have been a significant factor. As of right now, this appears to be the end of the legal conflict between PUBG and Epic. How do you perform a video game? 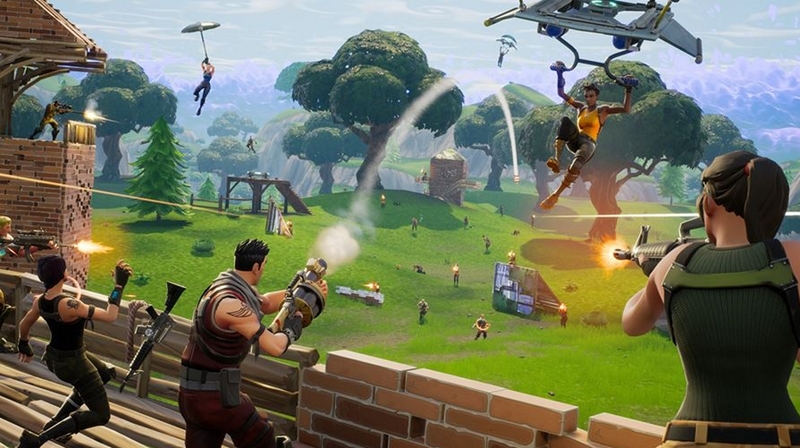 We recently reported on Epic Games suing individuals for cheating in Fortnite. You can read about those cases here, here, here, here, here, here, and here. Recently the Northern District of California declined to grant a motion for default judgment against one of the defendants, Konstantin Vladimirovich Rak. In its complaint, Epic claimed that a YouTube video Mr. Rak had posted violated its exclusive right of public performance. Epic filed for a default judgment after Mr. Rak failed to respond to any court motions. The Court denied the motion for default judgment on several grounds, one of which was the public performance claim was insufficient. The District Court’s denial was noteworthy because, in its opinion, the Court questioned whether posting gameplay footage to YouTube constituted a public performance. Epic contends that Mr. Rak publicly performed Fortnite when he posted to YouTube a video about how to hack the game. Under 17 USC 101, to publicly perform means to transmit or communicate a performance of a work to a substantial number of people. The same statute defines a performance of an audiovisual work as showing its images in any sequence. Even though video games are classified as audiovisual works, there are not many cases explaining what constitutes a public performance of a video game. Epic cites Valve Corp. v. Sierra Entertainment, Inc., F. Supp. 2d 1091 (W.D. Wash. 2004) to support its claim of public performance. The NDCA did not find this citation helpful because the Valve case was primarily a contract dispute, which briefly discussed what constitutes a public performance of a video game. The District Court also discussed Allen v. Academic Games League of America, Inc., 89 F.3d 614 (9th Cir. 1996), a case briefly discussed in Valve. Allen involved people playing board games in a tournament. The Ninth Circuit held that “playing” is different than “performing,” therefore there was no public performance. However, Allen involved board games, not video games. In Red Baron-Franklin Park, Inc. v. Taito Corp., 888 F.2d 275 (4th Cir. 1989), the Fourth Circuit held a video game arcade publicly performed Double Dragon because the game images were being reproduced. For many, this would seem to indicate that playing a game would be a performance because playing requires the reproduction of game images. Neither Epic nor the NDCA mentioned the Red Baron-Franklin Park case. It could be possible the NDCA agrees with this thinking, but it did reiterate the Allen Court’s hesitation on granting copyright owners the power to “control when and where purchasers of games may play the game.” Ultimately, the NDCA declined to decide the issue because the motion was only for a default judgment and neither side fully briefed the issue. The Court also warned Epic that the sole citation of Valve was not enough to establish a public performance. The primary focus of Epic’s lawsuits is to prevent hackers from cheating in Fortnite. Epic asked the Court for a default judgment because Mr. Rak did not respond. The goal of the public performance claim was to remove a video by Mr. Rak showing others how to hack Fortnite. The Northern District of California felt that Epic had not done enough to establish a public performance claim, but in the Court’s analysis, it questioned what it means to preform a video game. The denial order does not change any current laws, but it does indicate the Court’s willingness to address the issue of gamers posting videos on YouTube. The Court’s interest in the topic may be the result of how popular “Let’s Play” videos and streams have become. It will probably be awhile before there is an actual ruling, but Epic has a chance to amend its complaint, so it will be interesting to see Epic’s response to the Court’s public performance analysis. We will continue to follow this case and provide updates when available.